Under Armour Raid Men's Short Sleeve Top available in two different colours made with light weight HeatGear fabric that is soft and smooth for comfort. It has stretch mesh underarm and back panels, as well as 4-way stretch fabrication for better mobility in any direction. It also has moisture transport system wicks, and anti-odour technology to prevent growth of odour causing microbes. Kombi Original Kid's Gloves available in two different colours features a heat pack pocket to add an extra-warm touch to its cozy design. Reinforced fingertips and a water-resistant membrane bring extra durability for long-lasting appeal. Firefly Phil Kids' Fleece Pants offer incredible all-day comfort as it is made with cozy fleece. The relaxed fit makes them ideal for lounging and the oversized pocket adds plenty of space for keeping essential items handy. 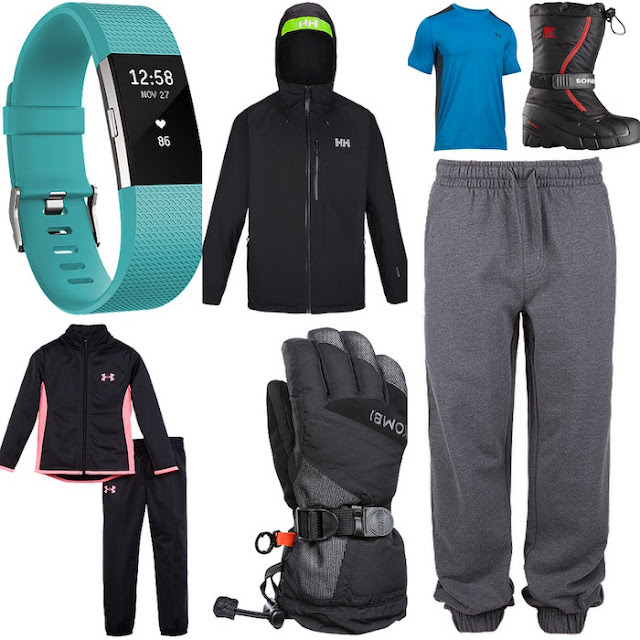 Under Armour Girls' 4-6X Super Fan Track Set with Raglan sleeves top and elastic waistband pants is made from tricot fabric that is extra soft inside and smooth outside for a stylish, comfy fit. Sorel Flurry Kids' Winter Boots has a waterproof shell and removable felt liner to ensure that feet stay warm and comfy while the built-in gaiter, adjustable Velcro instep strap and multi-directional lug sole make this boot secure in any conditions. My son enjoys wearing this pair because it is easy to put and remove. Fitbit Charge 2 Fitness Tracker available in small and large band in a variety of different colour bands is not only stylish, but also functional, as it features PurePulse® heart rate, multi-sport modes, guided breathing sessions and interchangeable bands, the Fitbit Charge 2 Fitness Tracker makes an ideal gift for anyone who wants to take charge of their health. Helly Hansen Jutland Men's Shell Jacket designed with Helly Tech® Performance material for windproof and waterproof appeal is an essential outerwear piece for combating the elements. Its warm, breathable design featuring pit ventilation details helps regulate body temperature for all-day comfort, with durability that lasts through the seasons. 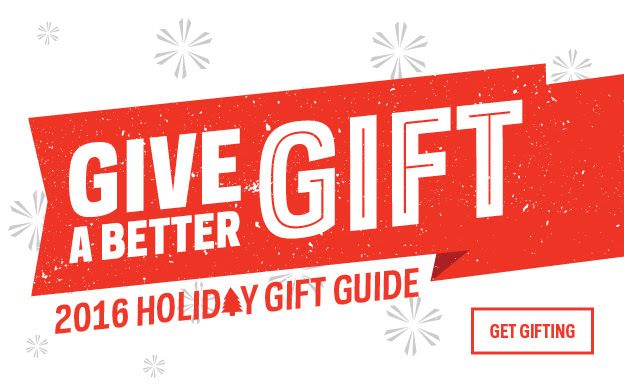 Look through the Sport Chek's Holiday Gift Guide and shop for your friends and family. I have a Fitbit2 on my list of wants! These would make great gifts for my brother! I love sorel boots for our winters. They keep you warm and last forever. I like the variety of gift ideas for everyone on my list. Hubby has the Fitbit on his wish list, thanks for the review. I see a few other items he would love to! a great place to shop for the family! would like to go check it out! Great gift for those new years resolutions. We have a Sportchek at our mall here and it is so nice. we bought a bike there for my grandson last summer and they have a great selection of clothing and footwear (quality items at that) for the whole family.